Get ready to let the good times roll during Franklin, North Carolina’s 22nd Annual PumpkinFest! This street festival and celebration of Autumn is pure familiy fun! Children and adults alike will have a blast taking part in traditional and some very non-traditional fall festivities during Western North Carolina’s premiere autumn festival. 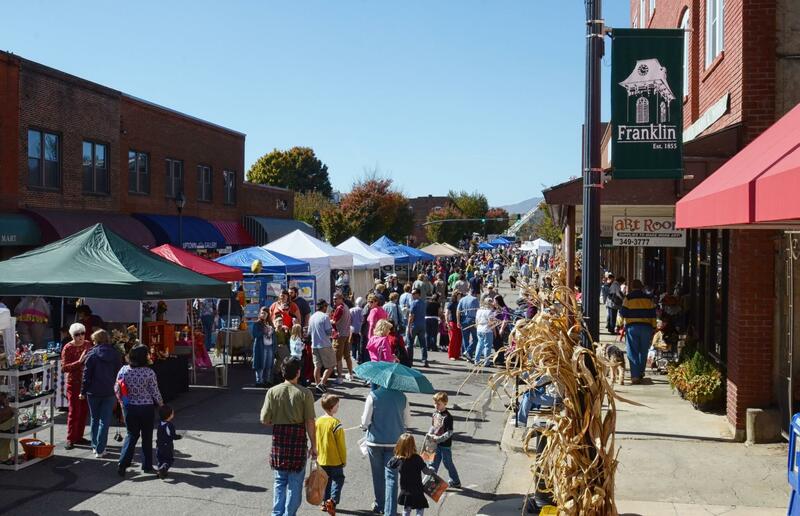 PumpkinFest rolls into action on Saturday, October 20th and Historic Downtown Franklin, North Carolina is full tilt with everything pumpkin. Bring your pumpkin (or purchase one downtown) and sign up early for the World Famous Pumpkin Roll. The Costume Parade and Contest is another highlight of the day as well as the Pumpkin Pie Eating Contest. And don’t miss out on more than 80 vendors including mountain arts & crafts along with great food! There is always live entertainment including roving street performers. PumpkinFest runs from 9am to 4pm and is held rain or shine. More information can be obtained by calling 828-524-2516 or drop us an email at pumpkinfest@franklinnc.com. You can also follow PumpkinFest on Facebook to keep posted on the latest information! More on the schedule of events is below and we’ll be updating the schedule so check back with us from time to time.